I don’t always get to eat it the way that I want it, but I gotta say that breakfast is my favorite meal of the day. There’s so many great choices; pancakes (first and foremost in my heart), french toast, waffles, cinnamon rolls, omelettes, muffins, hashbrowns and of course, the breakfast sandwich. I know. I’ve probably made you hungry just talking about it. That’s the point. My earliest memory of the breakfast sandwich is when I was still in elementary school. My school used to have this annual ‘Sleepover’ on a Friday night, where we could all come and spend the evening playing games or watch movies that were still set up in different classrooms, then all come and sleep together in the gym with our sleeping bags. In the morning, they would always feeds us McDonald’s breakfast, where we had the option of either getting the hotcakes and sausage, or the McMuffin breakfast sandwich before our parents came to pick us up. Because pancakes hold the keys to my heart, I would always choose the hotcakes, but mostly everyone else did choose the McMuffin instead. It would be a few years later before I decided to finally try the Sausage McMuffin. The real reason for my hesitance was actually pretty dumb. I don’t like having cheese on my sandwiches. (Yes, I know. I’m weird.) and for some strange reason, I had no idea for a while that you could ask for the sandwich to not have cheese on it. It’s hard for me to explain now, but my innocent 6 year old self thought that if I went through a drive through and asked for my sandwich not to have cheese on it, I’d get yelled at or get told that they did NOT do things like that and I’d have to take it or leave it…or something like that. So imagine my delight when I was told by my mom one day that I COULD actually ask for them to just leave the cheese off of the Sausage and Egg McMuffin. So yeah, I did ask for one sans the cheese. 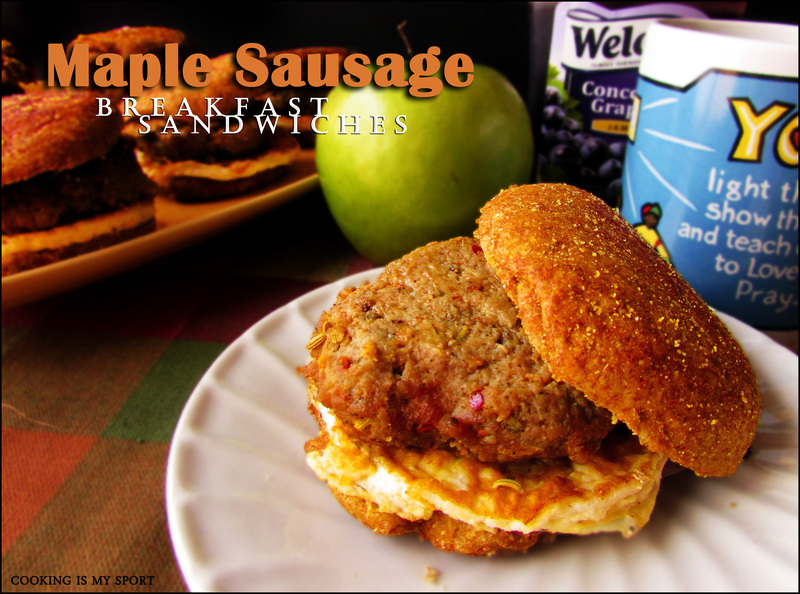 And from that day, to this, I have always loved having sausage breakfast sandwiches smeared with fruit jelly or preserves. True story. Aren’t you glad that you found out that I wasn’t the sharpest crayon in the box at 6? 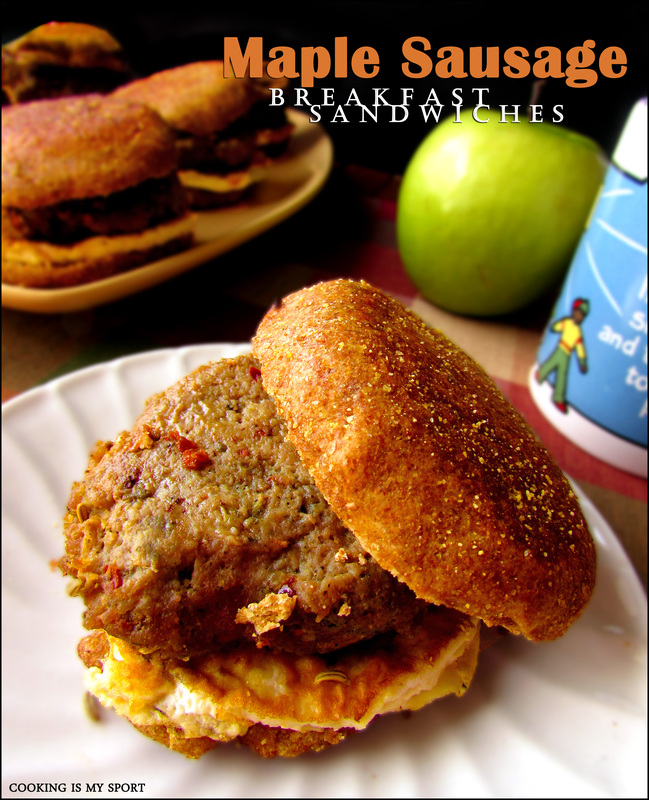 If you’ve ever been to a grocery store or to the two ‘main’ burger joints in the US, you’ll find an assortment of breakfast sandwiches to choose from for the convenience of a quick breakfast. Sausage/Ham and Egg McMuffins. McGriddles. Croissanwiches. Special K Flatbread Sandwiches. Jimmy Dean Delights. We’ve all heard of them. We’ve all probably had at least one before-and why not? They’re easy. They’re inexpensive. And they don’t taste that bad. So what’s the point of making the individual ingredients at home when you can technically buy them at stores or restaurants? Brush the inside of each roll with the melted butter and toast in the oven until slightly crispy & golden brown, 5 to 6 minutes. Remove from the oven and set aside. Mix together all the ingredients for the sausage in a bowl, & shape into 8 patties. Make sure you form the sausage patties in the same size & shape of the bread you are using, so that way every bite you take of the sandwich has every component it. Heat the olive oil in a cast-iron or nonstick skillet over medium heat. Brown the sausage patties for 3 to 4 minutes per side. Once they are browned & cooked through, remove patties to a paper towel-lined plate. In the sausage drippings, add the remaining tablespoon of butter and crack 4 egg whites into the skillet. Sprinkle the whites with salt and pepper and cook them to your desired doneness. 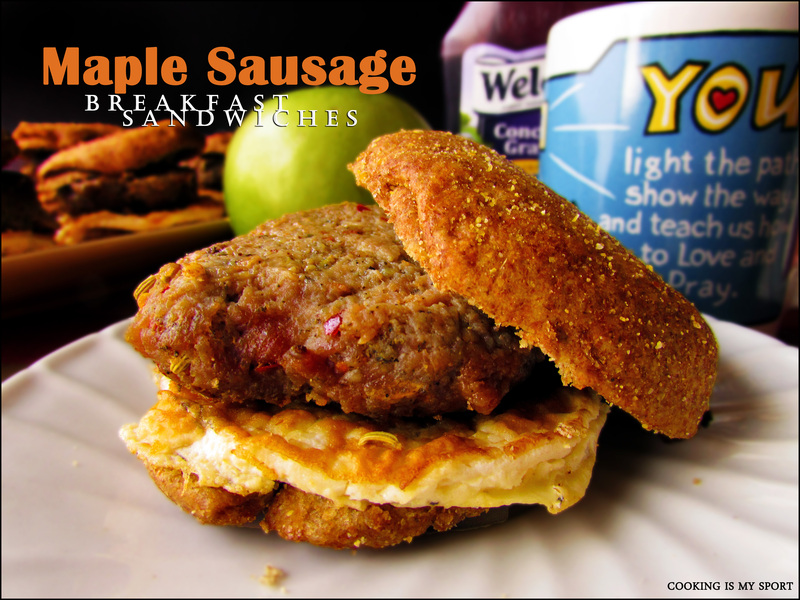 To assemble a sandwich, place a sausage patty on the bottom half of the toasted roll and top with the egg whites. Have it plain or dressed with the condiments you prefer. I eat mine with fruit preserves, or with Frank’s Red Hot. A delicious offering, Jess! I prefer mine without the cheese too…your homemade version though, looks far better than any McAnything! delicious! i love sandwiches! happy fiesta friday! 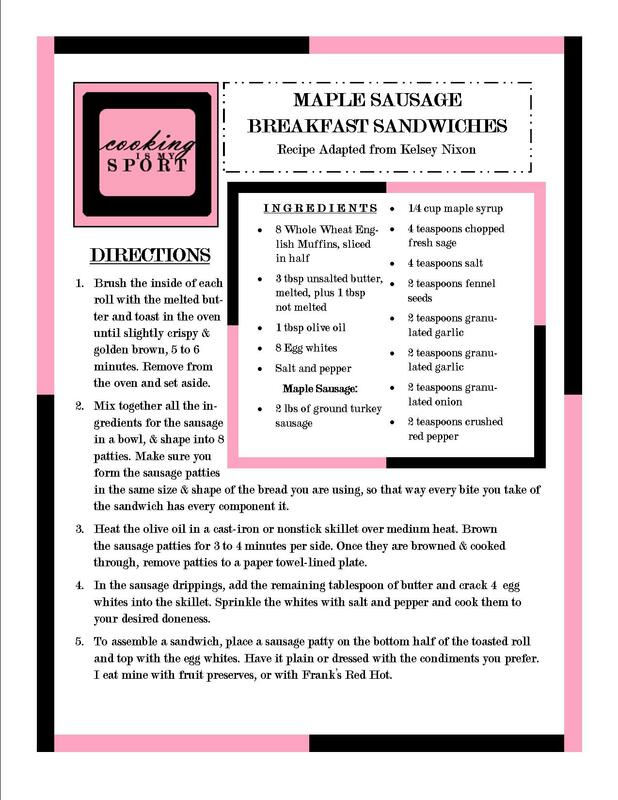 Breakfast sandwiches are some of my very favorite – especially sausage! I love your breakfast sandwiches! 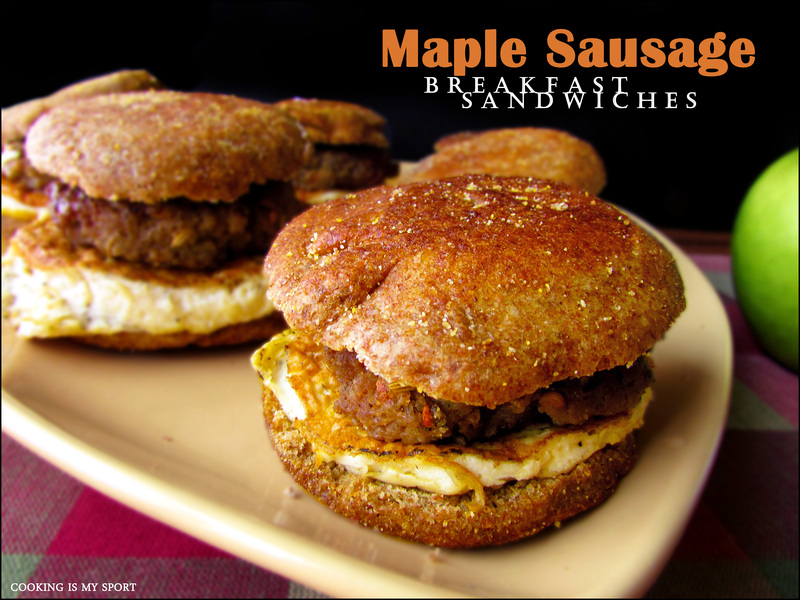 Breakfast is my favorite meal and I often eat breakfast for dinner and one of these sandwiches would do very nicely!! Thank you, this was my first time making the whole thing from scratch, and I’m happy with how they turned out! Looks wonderful! 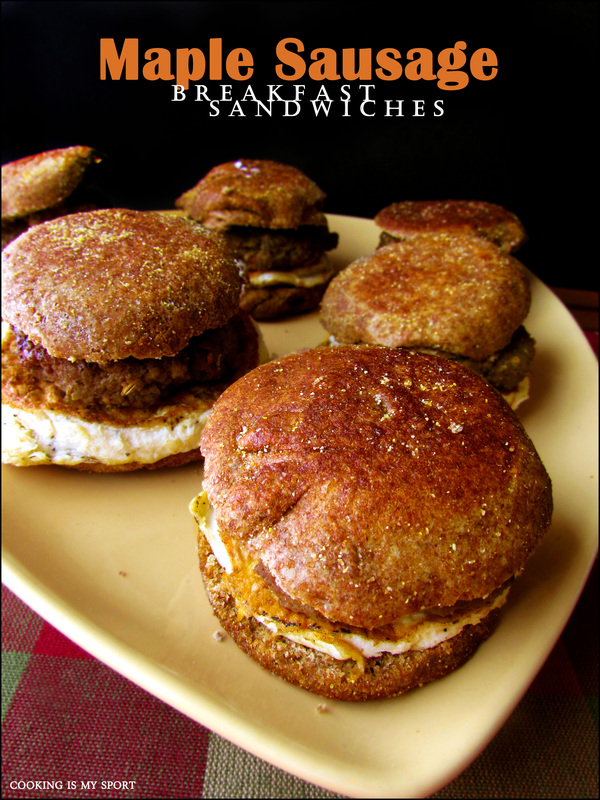 I love to make breakfast sandwiches too, especially on homemade whole wheat bread or an English muffin. I actually prefer whole wheat bread to white now, with everything! Thank you! Loving that story.. and the product! I also cannot abide having cheese on any kinda sandwich.. thanks for bring this one along.. a good morning after soaker upper! Haha, yeah with the bread and eggs I guess it would be good for that! Glad to see I’m not the only one who goes without cheese- thank you! These look great! (i’ll have mine with cheese though 😉 ) my mouth is watering… Happy Fiesta Friday! Thanks, Happy Fiesta Friday to you too! Go right ahead Jhuls, thanks! This is brilliant. You are genius. And I love you. ❤ Plain and simple. These look so delicious… that sausage is so cool. I'm making this. Soon. VERY soon. Awesome post!